Accommodation starting from 14€ /person. 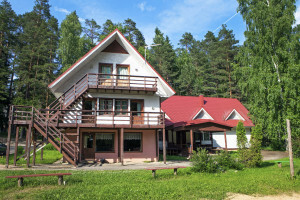 The Taevaskoja Holiday Centre can not be compared to an expensive hotel or manor. 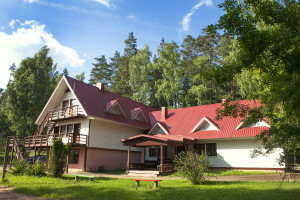 But people still enjoy staying with us time and again, for our facilities are good and the prices reasonable. 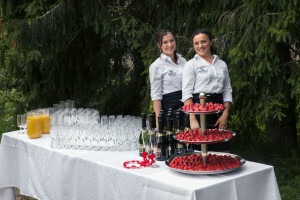 We have been in operation for more than 15 years and during this time have welcomed over 70000 guests, who value spending a good time in beautiful nature and wonderful company. Perhaps you, too, appreciate these qualities? If your answer is yes, then the accommodation at Taevaskoja Holiday Centre is just the thing for you. We have rooms in two buildings with different comfort levels: the seminar building and the camphouse. The prices in the former are reasonable, in the latter they are simply cheap. During summertime you can also stay in your own tent on our premises. 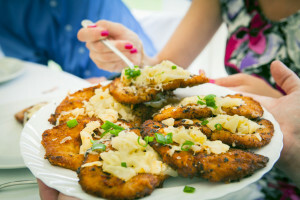 We offer accommodation to families, couples and groups of friends. The Taevaskoja Holiday Centre is a pleasant place where to come for your family holiday, to enjoy a romantic getaway or simply spend quality time with your friends. We have several campfire sites and a wood-heated sauna. The surrounding forests have nearly 40 kilometres of hiking trails, maintained by the Estonian State Forest Management Centre (RMK). And on our grounds you will find an exciting adventure course 9 metres above the ground, a climbing wall and a football pitch. 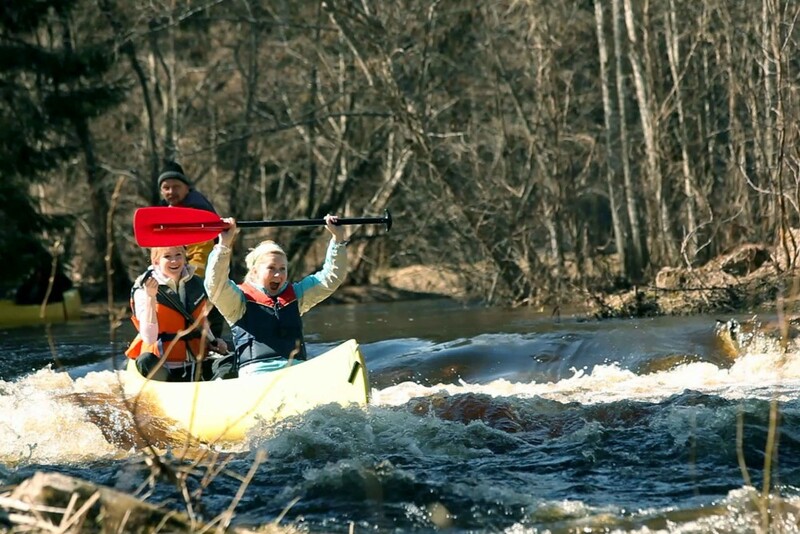 We organise canoe and kickbike trips and other activities Smaller groups should keep an eye on our Taevaskoja Facebook wall, where we post the best holiday and adventure thrill offers. 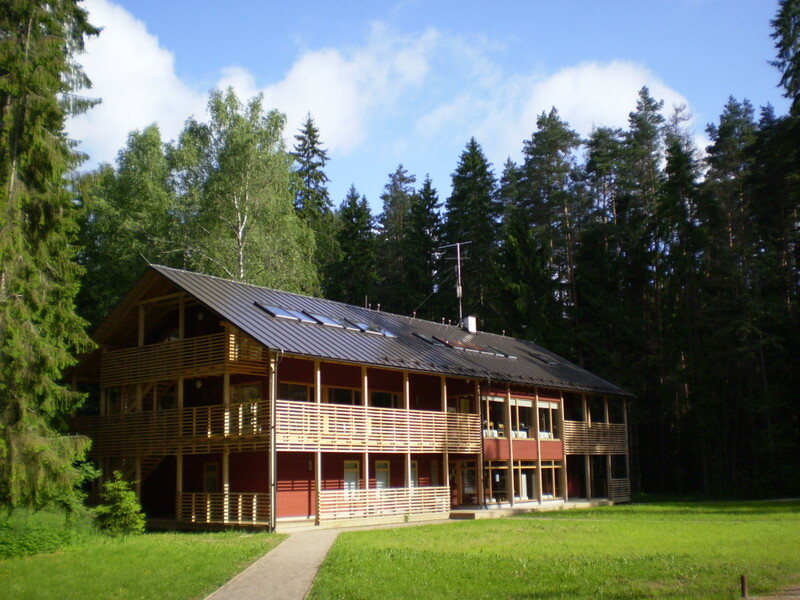 The Taevaskoja Holiday centre is mostly favoured by groups of 20-40 people. 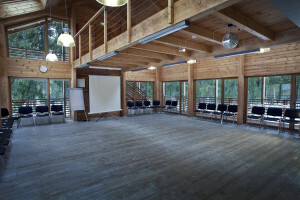 If your party requres a hall and a sauna, we suggest you rent out the whole seminar building. But if you are simply looking for cheap accommodation, our camphouse is just the place. 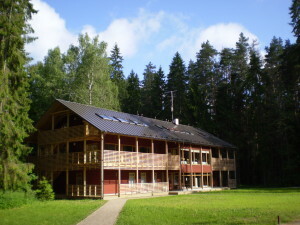 The sauna and the hall of the seminar building can also be rented separately. If you expect more than 50 people to attend your event, it is best to rent out the whole complex. This way the price will be better and privacy quaranteed. In the summer we have hosted events with up to 400 attendees. 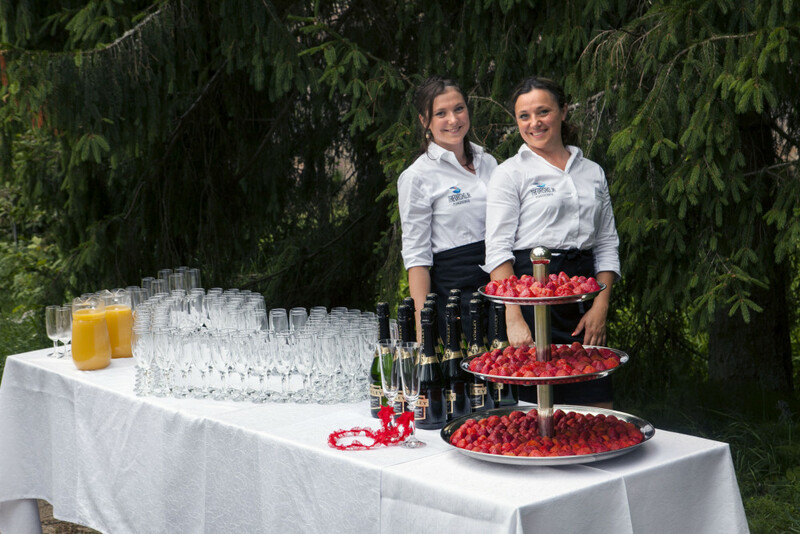 Our catering will help you set the tables and we are glad to offer any kind of assistance you might need with organising your event. Our prices are flexible. If you are not happy with our offer, please let us know so that we can discuss it and possibly modify the price. Our 15 years of experience have taught us that the cheapest offer on paper might not be the best in reality. If you are not aiming for luxury, but rather want to get the best quality for your money, let us know and we will match our offer accordingly. The spacious hall has big windows which allow a lot of natural daylight in. The room is air conditioned so the temperature can be set just right. The lights in the room are also adjustable and can be brightened or dimmed as desired. Up to 70 people can be comfortably seated in a theatre-style arrangement. When the seats are arranged in a U-shape or classroom style, there is room for 50 people. However, if required, 70 people can also be seated in a U-shape or classroom arrangement. In this case there will be slightly less ‘elbow room’ and it will take slightly longer for the people seated furthest from the doors to exit the hall. In the fireplace room on the ground floor of the seminar building there is a cosy fireplace and comfortable couches. Up to 8 people can enjoy the sauna at the same time. The fireplace room is perfect for birthday celebrations or for relaxing after a conference or some other event. Up to 15 people, including a band, will fit in the fireplace room. Even 20 people have spent time there at a time. In good company, the lack of space is the last thing on people’s minds. There is a door from the fireplace room to the outside terrace and the campfire and barbeque sites are also nearby. Our prices are very flexible. If you are not happy with our offer, please let us know so that we can discuss it and possibly modify the price. Our 15 years of experience has taught us that the cheapest offer might not always pan out the way it was shown on paper. If you are not aiming for luxury, but rather want to get the best quality for your money, let us know and we will match our offer accordingly. The camphouse is located 100 metres from the seminar building It offers authentic and cheap hotel style accommodation. 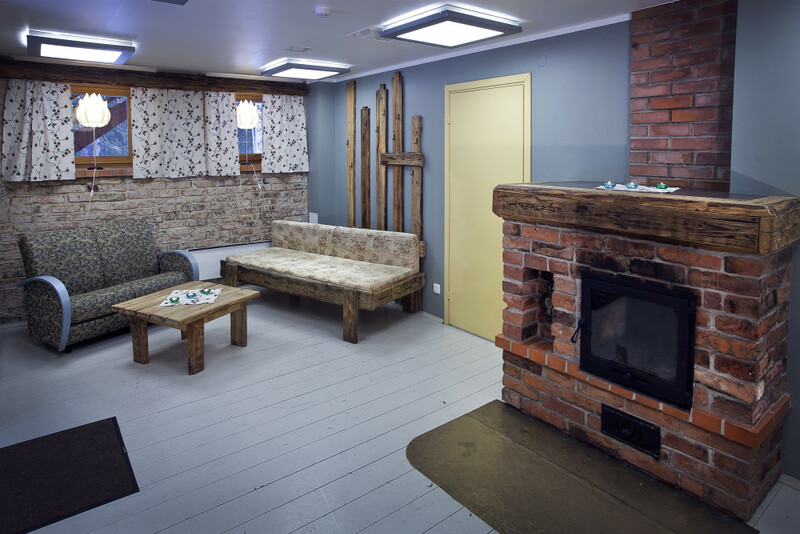 The rooms have from one to six sleeping places and there is a communal bathroom and toilet on each floor. The interior of the rooms is simple – wooden beds and chairs and some small cupboards. Next to the camphouse is a big football pitch and a campfire site. In the forest there is the Taevaskoja adventure course. The fireplace room has comfortable couches and a table with chairs. In the seminar room there are just a table and chairs. A paper flip chart and a projector can be provided when needed. Additional tables and chairs can also be arranged, which can be set in a theatre, classroom or U-shaped layout. The fireplace room fits 20 people comfotably. The small seminar room up to 10 people. 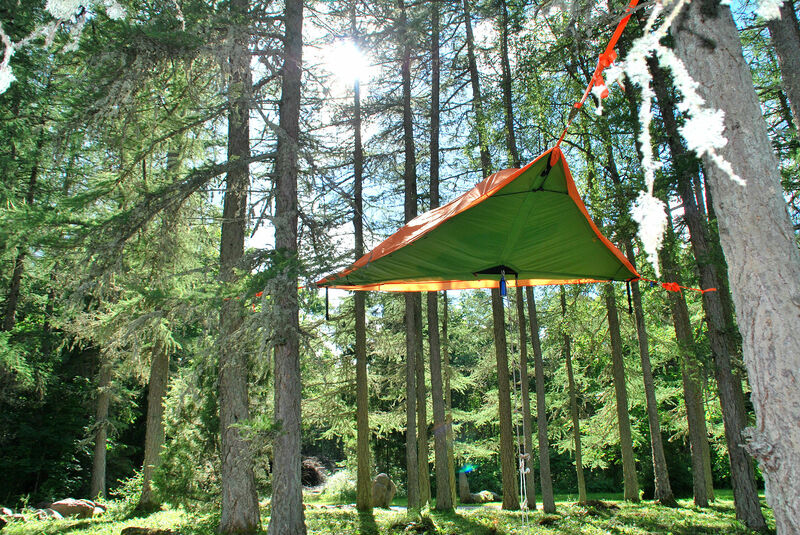 Sky is the limit when it comes to hanging the Tenstsile suspended tent. No more time wasted on searching for an even surface where to pitch your tent, simply pick out a couple of sturdy trees and the camping experience of a lifetime can begin. We offer you the chance to spend a night in our ‘back yard’, surrounded by beautiful trees. We will take care of setting up the tent, all you have to bring is your sleeping bags. 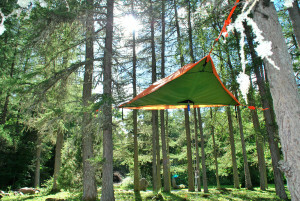 We offer hanging tents for two and three people. Spice up your adventure even more with fun activities and a hot sauna. How much does a night in the hanging tent cost? The prices for a night in a two people tent is 30€ and 45€ in a three people tent. Do not forget to bring your own sleeping bag! The price includes setting up the hanging tent, use of the campfire site of the Taevaskoja Holiday Centre and washing facilities. If you are interested in learning more about hanging tents and other innovative camping equipment, you can visit the website of our good partner Fastrabbit. On a canoe trip everybody is free to choose their own pace – whether you like to take a leisurely trip and enjoy the scenery or have a more competitive adventure. Our canoes are built for stability, not just speed, which ensures that your experience is safe and enjoyable. The canoe trips are suitable for children from 12 years of age. With smaller children we recommend a shorter trip, up to 8 kilometres, with an adult guardian. The canoe rafting trip is perfect for elementary and middle school children, as it is safe and there is no risk of the boat capsizing. You can ask for anything. Even a better price offer.